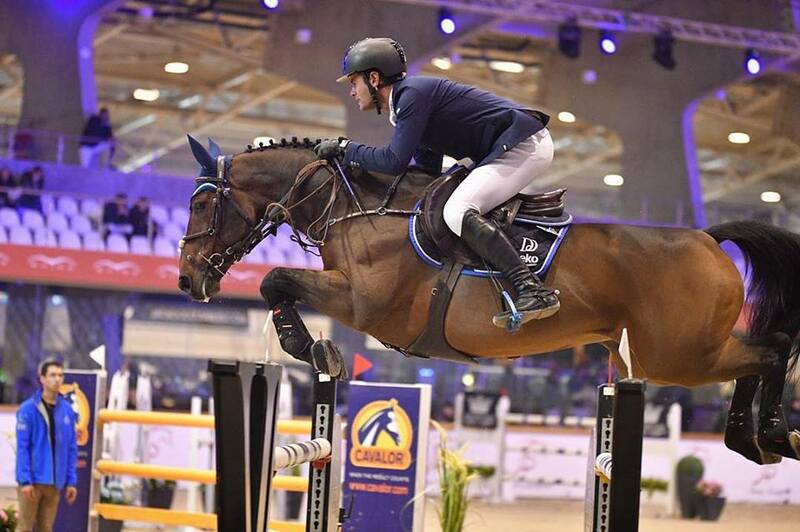 The indoor season continued for Derin at Sentower Park in Belgium this weekend, where he competed at the CSI2* show with Je Suis van de Bien, Koblenz vd Middelstede, as well as the youngsters Hunter and Hudsonbridge Tag. 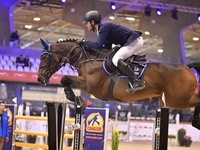 Je Suis van de Bien opened with a clear round in Thursday's 1.40m, and had an unlucky rail down in Sunday's Grand Prix. Koblenz vd Middelstede was clear in the first phase of Friday's 1.35m class, and also jumped clear in Saturday's 1.40m class. The 6-year-old Hunter impressed again, jumping clear all the way while Hudsonbridge Tag was clear in Friday's youngster class. Derin now moves on to compete in Lier, Belgium this coming weekend.